Power Park is a great record shop with both new and 2nd hand vinyl. 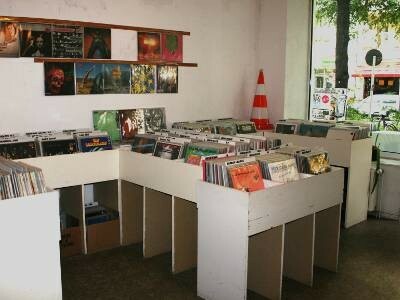 The shop has almost every music category you can think of in three spaces. Power Park has an excellent choice of indie and wave singles, sorted alphabetically, probably 2000 jazz records and a lot of house and techno. The collection of 90´s house & techno is amazing. There you´ll find a lot of Detroit, Chicago and New York sound. Pingback: WRANGELTAPE#5 Roi Perez | Wrangelkiez!